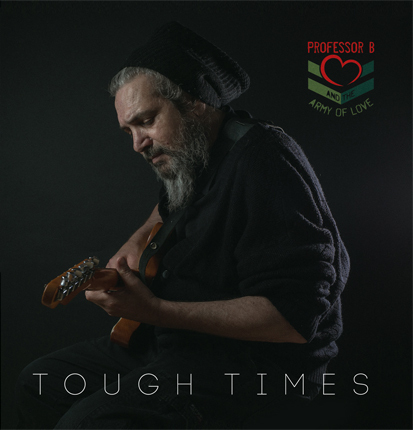 “Professor B and the Army of Love” have a mission that is quite obvious: through music, spread peace, love, and harmony, all good vibes to their audience. You’d be hard pressed to find another artist who is so whole-heartedly playing music for this reason. The new album release Tough Times on HMG records is a beautiful mixture of uplifting positive vibes about life that will warm your heart. A signature vintage sound, with across the board influences. From an inspiring story, this artist takes his music over the top, and succeeds in capturing your conscious. Professor B’s message of universal love and positivity has proven to have strong impact in these troubled times. “There are many artists vying for the public’s attention. But we feel both the music and the experience of the Army of Love pack a big punch.” Producer Vic Steffens of Horizon Music Group has produced over 300 full length CDs and worked with many notable artists. The music and the live show are truly inspirational. 'Tough Times' can be purchased on iTunes, Amazon or Google Play.